The population of Australia’s Aboriginal and Torres Strait Islander communities is extremely diverse in its culture with many different languages spoken. Think of the Kimberly region of Western Australia … if you travel through the Kimberly with its large Aboriginal population and the diversity of people within this region, it’s just like travelling through Europe with its changing cultures and languages. 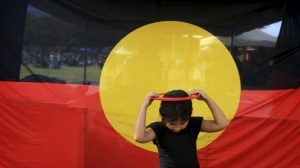 Even today, it is all too easy to find highly educated and prominent Australians who speak glibly of ‘the Aboriginal language’, thereby reducing the indigenous linguistic diversity of this country by a factor of at least 100. 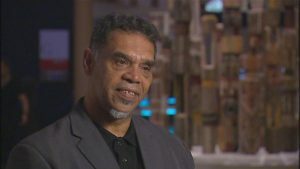 And it is all too frequently apparent that lurking behind the linguistic naivete of many other mainstream Australians is the suspicion, staggeringly still abroad after over 200 years of white occupation, that Aboriginal languages must be primitive artefacts, small in vocabulary and extremely limited in expressiveness. A good starting place to develop an understanding of the rich diversity of Australian Indigenous culture and language is by examining Norman Tindale’s (1974a) map of Aboriginal tribal and language territories at the time of European contact. The South Australian Museum holds the original map in their collections, and their website explains that in the earlier 20th Century when Tindale begun work on this map it was commonly held that Indigenous people roamed across the land with no fixed territories. Tindale’s map refuted this widely held view by providing graphic evidence that no part of Australia was empty land. This map is printed on four sheets labelled Southwest, Northwest, Northeast and Southeast, with map title printed on the Southwest sheet. ‘Tribal’ names and boundaries are printed in dark blue. States, placenames, major cities and geographical features are printed in brown or blue. Other information includes boundaries of subincision and circumcision rites. Indigenous people had extensive linguistic expertise because they came in contact with so many dialects and languages. Indigenous individuals could and often still do speak a number of dialects from a number of languages (Walsh 1993). They were often able to speak the native dialect of their father, mother and spouse and would often know the languages of other groups whose land bordered their own territory. There were also a number of different registers and languages used within each tribe or clan for different occasions, for example, sign languages, ceremonial languages and gender specific languages (Alpher 1993). Not only are there a multitude of Indigenous languages, these languages are complex and diverse, with intricate grammars and extensive vocabularies. There is a common and mistaken belief that Australian languages have limited vocabulary but like any other language they have thousands of items. One factor that contributes to this myth is that many vocabulary items in Australian languages do not correspond directly to concepts expressed in English words; rather, they describe items or express concepts of importance to their own culture (Angelo et al 1998).